Ensuring you fuel your body as well as possible before a workout is the key to getting the best workout you can. If you don’t fuel yourself properly, how can you ever hope to work your muscles as thoroughly as needed for optimal growth. The Truth: A big fitness myth that working out on an empty stomach will help you burn more fat. But this has been proven totally untrue. You should always eat something before exercising so your body has enough fuel to power through your workout. The reason given behind this widely accepted myth is that forgoing food before exercise will force your body to burn more fat during your workout. This could not be further from the truth. As a matter of fact starving yourself before exercising can actually be detrimental to your body. Your body needs a certain amount of energy (sugars) for fuel when training. When the blood sugar is not there, your body will convert your own muscle tissue into energy and you will start to lose the precious muscles you have taken some time to build. A study published looked at athletes who ate before they trained versus those who fasted before they trained. The amount of fat burn was the same for both groups, but those who had trained without eating first had 10 percent of their calorie burn come from protein — including their own muscle mass. In addition your body needs energy to perform at a high intensity. And nowadays it’s common knowledge the intensity training will have greater effects at an accelerated pace. You cannot do this without properly fueling your body within energy providing foods. If you haven’t eaten anything, your workout won’t be as intense as if you’d fueled up beforehand. You won’t have the strength, speed, or stamina to burn those calories and speed up your results because you’ll likely suffer from low blood sugar, which will make sluggish. Ultimately, you should picture your body like a car – you can’t expect to drive 150 miles with no petrol in the tank, can you? If you’re looking to perform and train at your best, you need to make sure your body has enough fuel to do so. You don’t need to gorge yourself; a healthy snack will do the trick. I suggest you eat something around 45 minutes prior to a workout training. No sooner, because that can cause cramps and make you sick during your workout. Aim for something with complex carbohydrates and protein. Eating the right foods pre workout means you won’t only top up your glycogen stores, but by eating a good source of protein, you’ll also be able to promote muscle-protein synthesis and create an anabolic environment in the body. When we exercise, glycogen stores are quickly used up and depleted, so the body looks for new sources of energy – our muscles. By breaking down hard-earned muscle, the body can utilize amino acids for energy. This is bad, as it puts our bodies into a catabolic state, which can prevent muscle growth and recovery. Supplements aside, pre workout, the nutrient you most need to concern yourself with is carbohydrates. Not simple carbohydrates, but complex carbohydrates. Complex carbohydrates will provide your muscles with a great amount of ready glycogen but won’t spike your sugar levels like simple carbohydrates. In every meal, you need to consider the three macro nutrients: carbohydrates, protein and fats. You also need to consider the ratio in which you are eating them. There are two types of carbohydrates: simple, high glycemic index carbohydrates, and complex, low glycemic index carbohydrates. But which one is best pre workout? This ultimately depends on your goal and the time of your pre workout meal. Simple carbohydrates are great for 30 minutes to an hour before a workout, as they provide the body with fast-acting glucose as fuel. However, complex carbohydrates also play a role within energy metabolism. By consuming low GI carbohydrates around 2-3 hours before a workout, you can give your body a slow-releasing source of energy. This means you’ll be able to work out for longer and be less likely to have a dip in your blood sugar levels in the middle of your workout. Pre workout, it’s best to avoid too much fat. This is because, although high in energy with 9kcal per gram, fats are slow-digesting. This means, instead of making you energetic, they can actually make you feel sluggish and heavy. Pre workout meals containing protein provide us with a major benefit – the prevention of muscle catabolism. 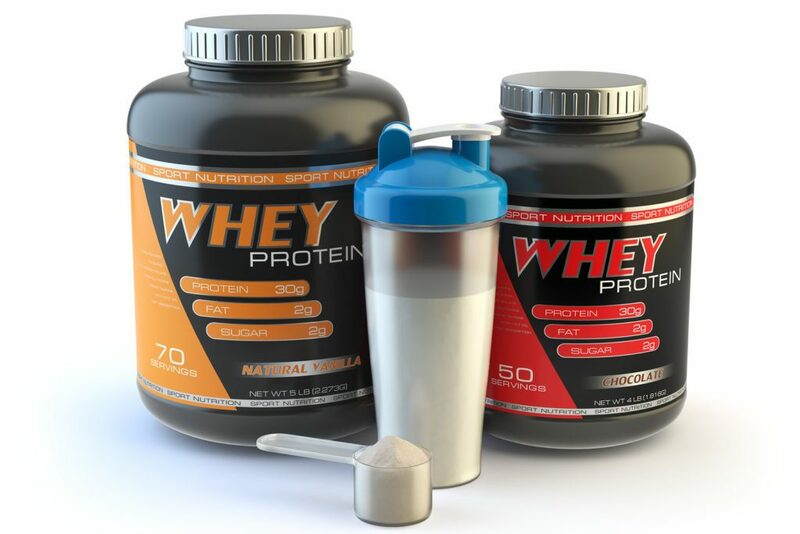 By consuming a good source of protein before a workout, you can give your body the amino acids (branched-chain amino acids in particular) that it needs to prevent muscle breakdown, whilst aiding muscle recovery and growth. Fruits: High glycemic fruits like pineapple, apricots, banana, mango and watermelon. Fruits provide simple sugars that are easy to digest. They’re your body’s preferred source of energy for high-intensity workouts. Fruit smoothie: Not only fruit smoothies are great tasting and super-healthy. Whilst smoothies do provide a series of micronutrients that are beneficial for health and well-being, they’re also full of sugars, including fructose. However, consuming a fruit smoothie pre-workout is a great pre-workout meal option that can provide you with a good source of fast-acting glucose. Note that smoothies are high in calories and so take these in moderation so you are not overloading your body with excessive sugars. Smoothies in general are not a replacement for full meals. Sports drinks: Balanced with simple carbs, vitamins and minerals, provide a good balance of nutrients providing quick shot of energy with electrolytes. Bananas are a great source of natural sugars, simple carbohydrates, and potassium. In the body, potassium is only stored for a limited amount of time, so try consuming a banana around 30 minutes to an hour before your workout. 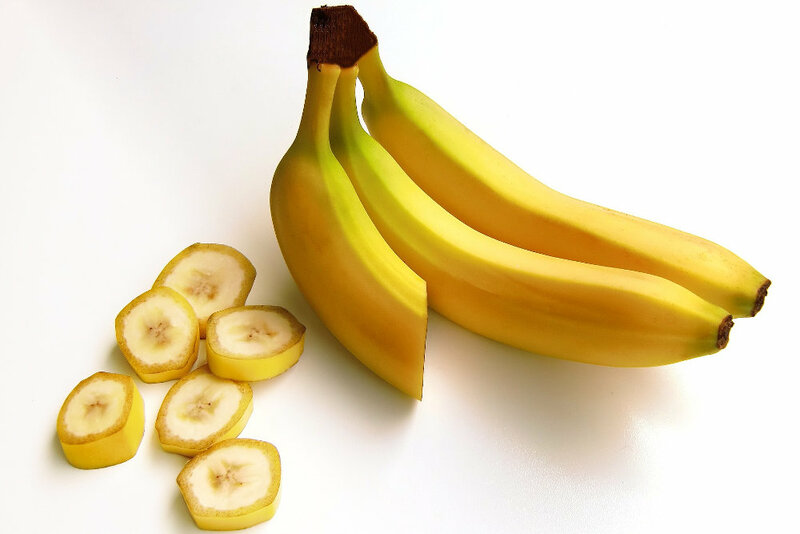 Eating a banana pre-workout is the perfect way to boost your glycogen stores and increase blood sugar levels. “Bananas are mother nature’s power bar: They’re loaded with simple carbs for fuel and potassium, which helps with optimal nerve and muscle function,” Mazur says. Top one off with a serving of peanut butter—or any other nut butter you like. (Just try to stick to the recommended 2Tbsp serving size.) If you want a little sweetness, drizzle a bit of honey. 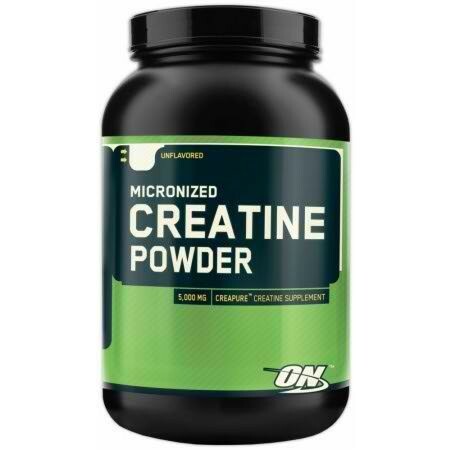 It’ll release slow, steady levels of glucose into your bloodstream—great for grueling WODs and endurance workouts when your body can start using muscle glycogen as fuel if it doesn’t have enough readily available carbs. Consuming dried fruit with Greek yogurt can also provide the body with a source of protein to help optimize your workout. Consume a meal like this 1-1.5 hours before a workout. Dried fruit is high in sugar and high in calories. When it comes to dieting, dried fruit is generally avoided, however, this food is great to be consumed in measured amounts pre-workout to give a quick source of simple sugar. Berries and granola provide quick-digesting carbs to fuel your workout, and the Greek yogurt provides ample protein to prevent some of that muscle breakdown. 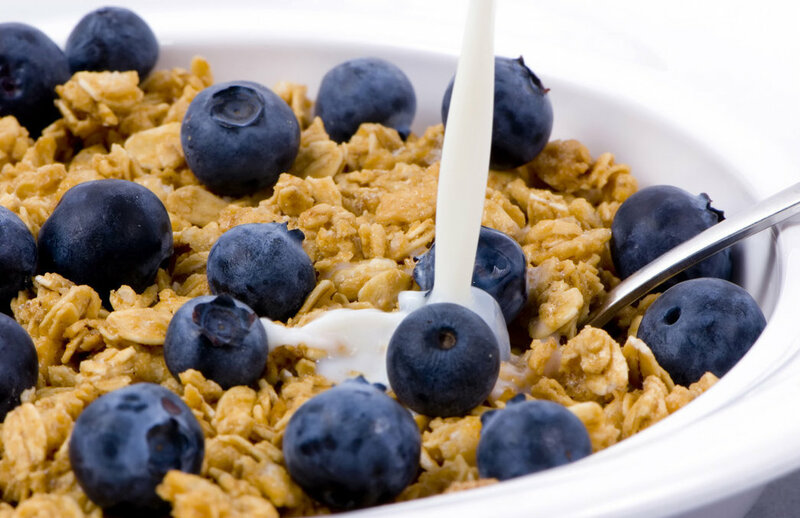 Look for a granola that contains nuts, seeds, and wholesome carbs (like oats, amaranth, quinoa, and/or millet). Try to find carbohydrate sources sweetened with coconut oil, dried figs, and/or vanilla; you want to keep sugar to a medium. Porridge and oatmeal make the ultimate pre-workout breakfast. This pre workout food contains complex carbohydrates and is also a great source of the soluble fiber, beta-glucan. By consuming oats around 2 hours before a workout, you’ll be able to satisfy your hunger throughout your workouts whilst getting a great source of slow-releasing energy. Try adding a scoop of protein powder to your porridge. That way you’ll also get a great source of protein and amino acids. Chicken, rice (brown is preferred), whole grain bread (or vegetables) is the classic choice of a healthy meal. Combining a good source of lean protein and complex carbohydrates provide amino acids to promote anabolism (muscle growth) and a slow-releasing source of energy. 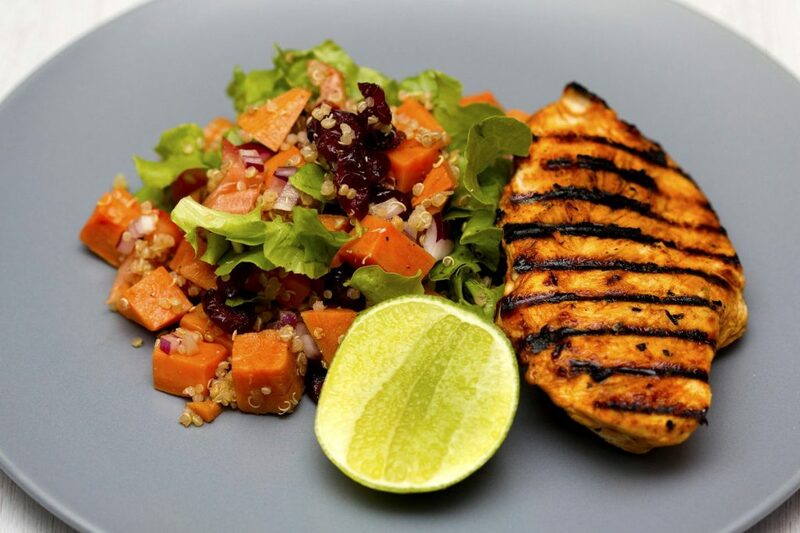 Consume a meal like this around 2-3 hours before a workout. Last but not least, protein shakes. If you’re on the go and in a hurry or none of the above appeal to you, a quick protein shake can solve your pre-workout problems. By consuming a shake with a good source of fast-releasing protein, such as whey protein, with simple carbohydrates like maltodextrin powder, you can get all the pre-workout nutrients you need in a matter of minutes. 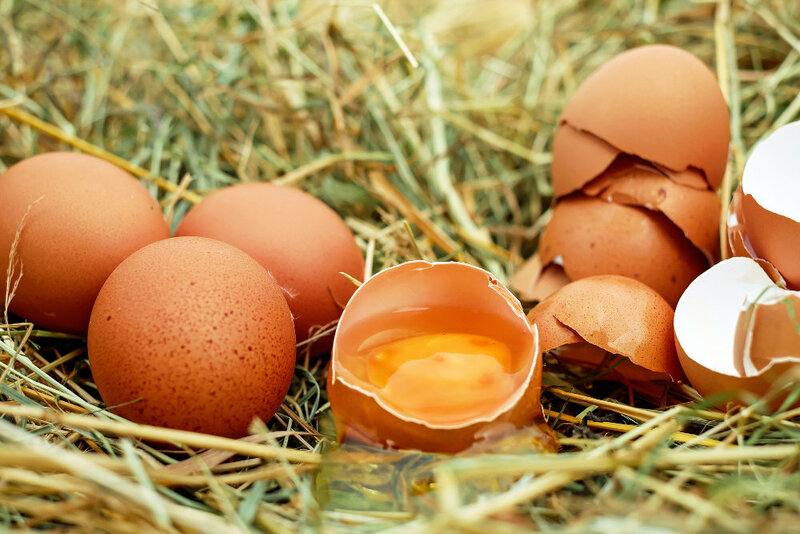 Hard boiled eggs or omelette: Omelettes made using whole eggs and egg whites are a great source of muscle-building protein and amino acids. Note: No matter what time of day you choose to exercise, make sure to plan your workout two to three hours after having a full meal. Going overboard with too much food right before a workout will leave you feeling sluggish and can lead to stomach discomfort. The last thing you want is your workout habits to hinder your digestion process. IMPORTANT: Your Pre-Workout Fluid Needs: Being well-hydrated will make your exercise easier and more effective. Try to drink 15-20 ounces of water during the 1-2 hours before starting your workout. Is it ok to exercise after eating? The short answer is yes. But really this depends from person to person. Some people may feel nauseous exercising after a meal whereas there are other who gorge on heavy calorie meal before an exercise session and experience no issues. In general you do need to give some time after you eat any type of food. 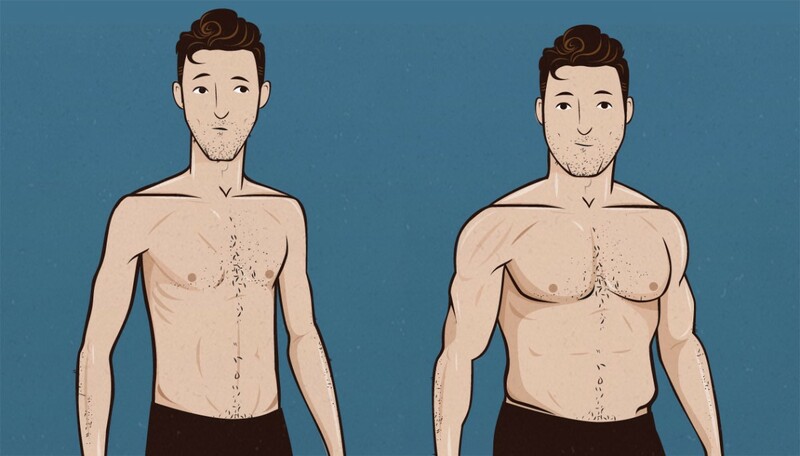 How long should you wait to workout after eating? After eating a light food like a fruit you may be ready to start your session in 15-30 minutes. Although a heavier meal (more than 400 calories) may require about 2 hours of digestion before you start your workout session. Is it bad to drink coffee drinks before a workout? Coffee when consumed before exercise—can cause fat cells to be used as an energy source as opposed to glycogen. Also, the high amounts of caffeine in coffee will increase your metabolism, which makes you burn more calories throughout the day. Coffee helps accelerate fat loss. Caffeine in coffee helps you improve focus resulting in better workout. Coffee helps decrease muscle pain if taken prior to a workout session. 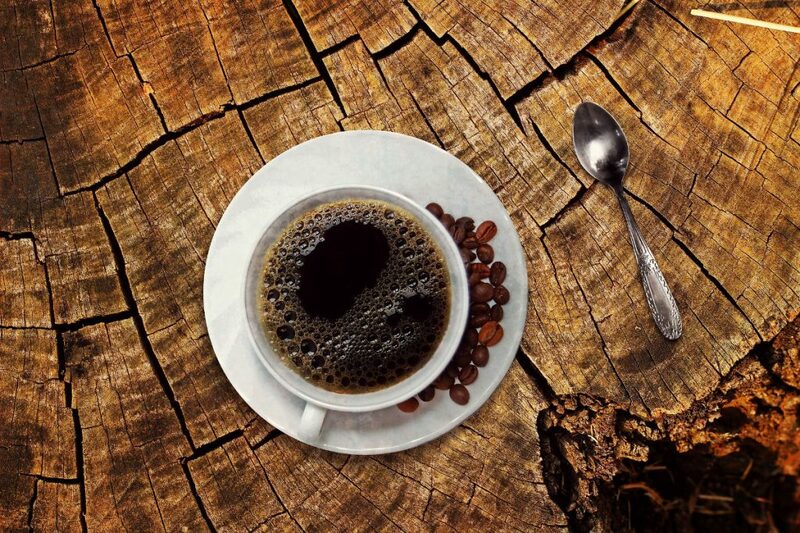 Black coffee contains high amounts of antioxidants which protect against damage from free radicals. Coffee may help prevent some diseases. Note: adding dairy to black coffee will reduce or eliminate the positive provided by the anti-oxidants. Is it ok to workout on an empty stomach? Many people workout on an empty stomach often referred to as fasted state. Working out in fasted state is not dangerous to health in general (although watch out if you are diabetic). Eating before a workout is more conductive to fat burn. Thus big drawback of working out on an empty stomach is that you do not lose as much fat as you would if you had some food prior to exercise. Empty stomach workouts increase the risk of cramps for some due to lack of fluids. In summary you do not need to have a heavy meal before a workout session. But topping up on fluids and a light snack (like banana or apple) prior to a session will help you stay engaged in the workout.